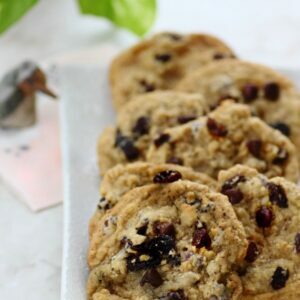 Rum Raisin Oatmeal Chocolate Chip Cookies are the ultimate adult update to one of my favorite childhood cookies! 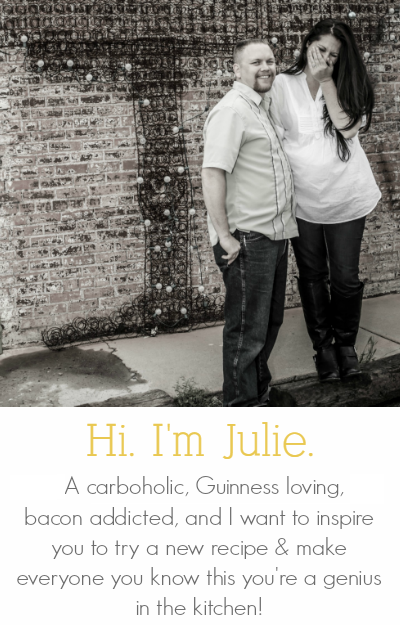 Hi Everyone, I’m Karyn and I blog over at Pint Sized Baker and Dieter’s Downfall. 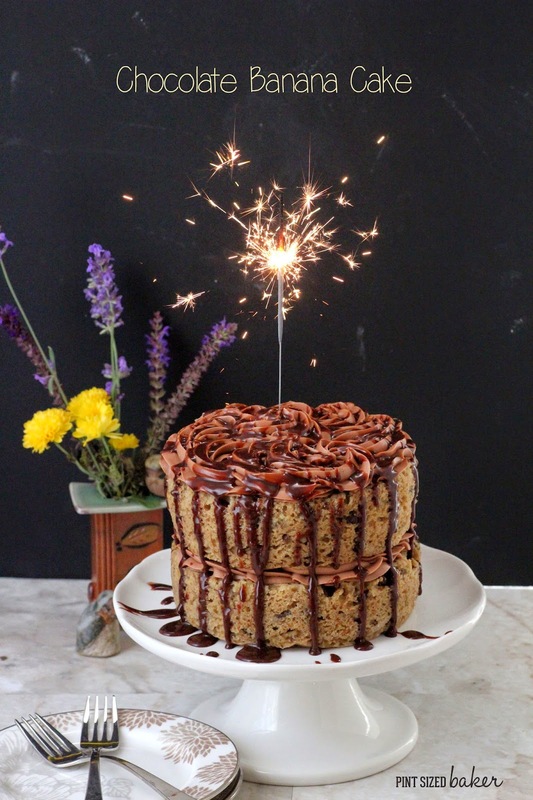 Yes, I have two blogs about desserts – I’m addicted to sugar and indulge my sweet-tooth often. While Julie is off getting married I’m here to share these ridiculously good Rum Raisin Oatmeal Chocolate Chip Cookies. I know that Julie loves to spike her treats so I’ve soaked my raisins for an entire week in dark rum before baking with them. Yes, the waiting was killing me, but the results were so good! 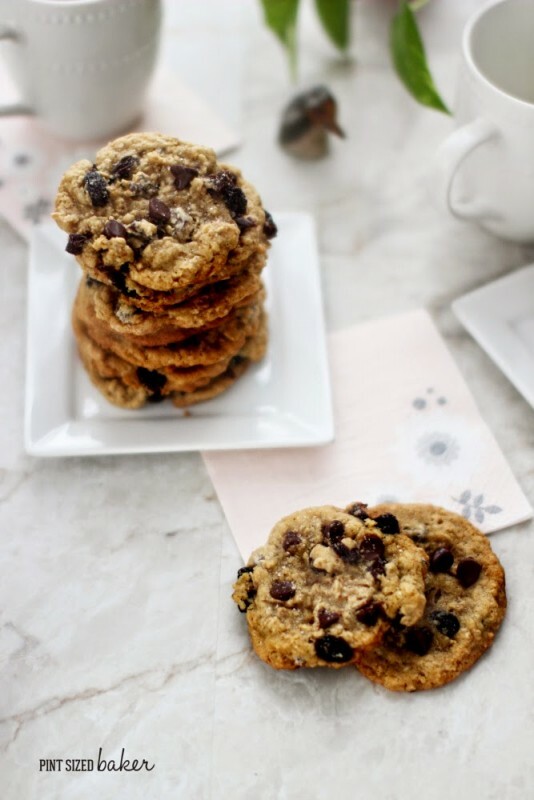 I love baking cookies and have several different recipes for chocolate chip cookies. For cookies, it’s all about the fat. Fat can come from butter, oil or cream – as in sour cream, yogurt, or even mayonnaise. Each fat will result in a slightly different texture. You can also vary the flour to give you more of a cakey texture or get you cookies really crispy. It’s really up to you and what you like in your cookies. 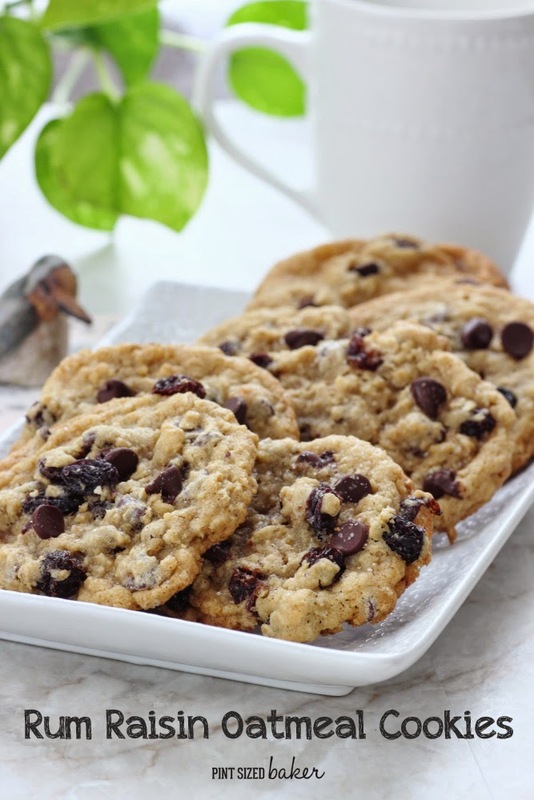 Me personally, I love a tender in the center and crispy on the edges cookie that is loaded with chocolate chips. 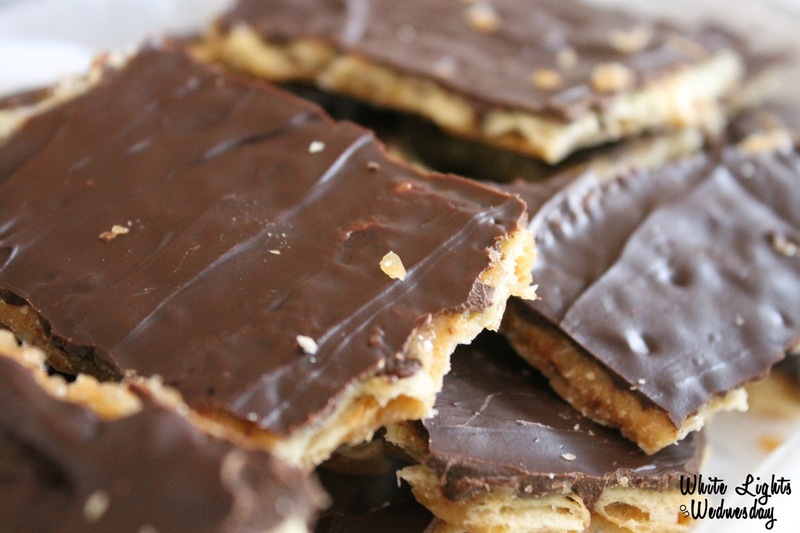 I’ll even mix in mini chips just so the center is extra chocolaty, like in this recipe. 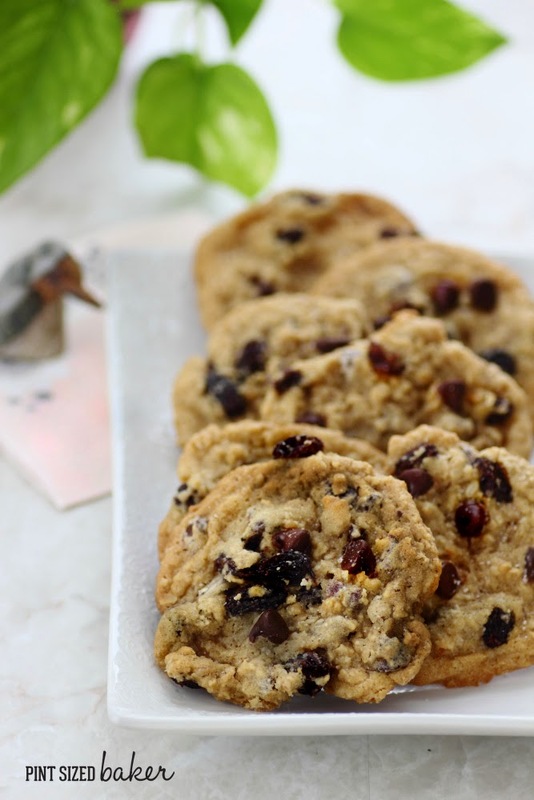 I really enjoyed these Rum Raisin Oatmeal Cookies and so did my daughter’s teachers. In fact, I dropped off a bag of them and got a phone call about 5 minutes later from the Head Mistress asking me to bake a second batch for her birthday party. Now that’s some good cookies! 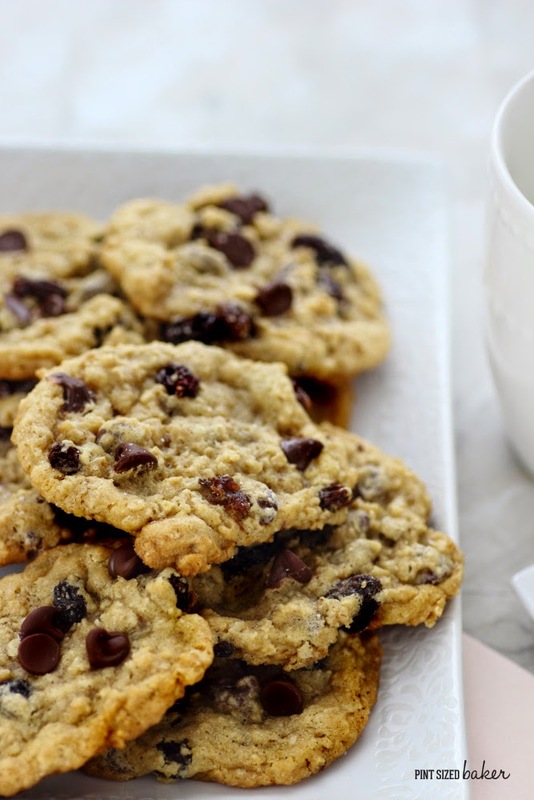 I hope that you make and enjoy these yummy Rum spiked chocolate chip cookies. They are some of my new favorites. Place the raisins into a plastic container and cover them with the rum. Cover the container and set it aside for at least 48 hours, but up to a week is better. Shake the container half way through the soaking time. 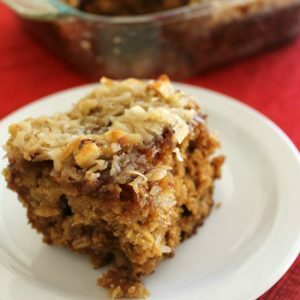 The raisins should absorb almost all of the rum. Mix the flour, baking powder, baking soda and salt together and set aside. Beat the butter and sugar until it’s light and fluffy. Add in the egg and vanilla. Gradually add in the flour mixture on low speed until it’s just combined. Hand stir in the chocolate chips and raisins. Add up to 1 tablespoon of the excess rum (from soaking the raisins), discard the rest. Measure out a tablespoon of batter and place them on the prepared cookie sheet. Bake for 15 minutes. The edges should be browned but the center will still be pale. Remove from the oven and sprinkle a little sea salt over them. Let the cookies rest on the cookie sheet for 5 minutes before transferring to a cooling rack. 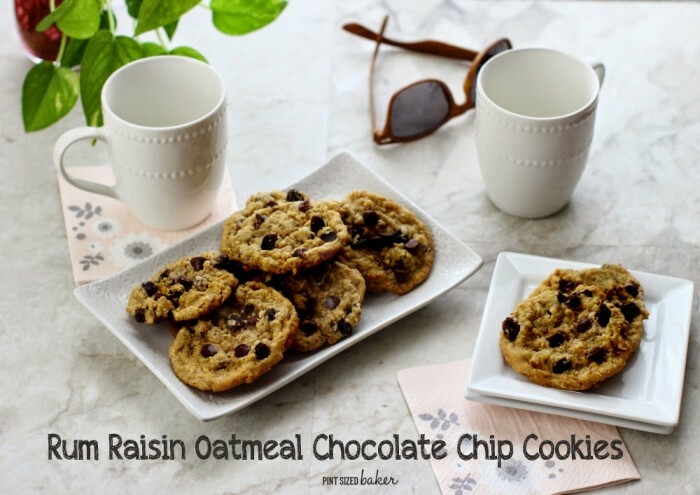 Enjoy your adult Rum Raisin Oatmeal Chocolate Chip Cookies with a big glass of milk. Thanks so much to Julie for having me over while she’s off celebrating. 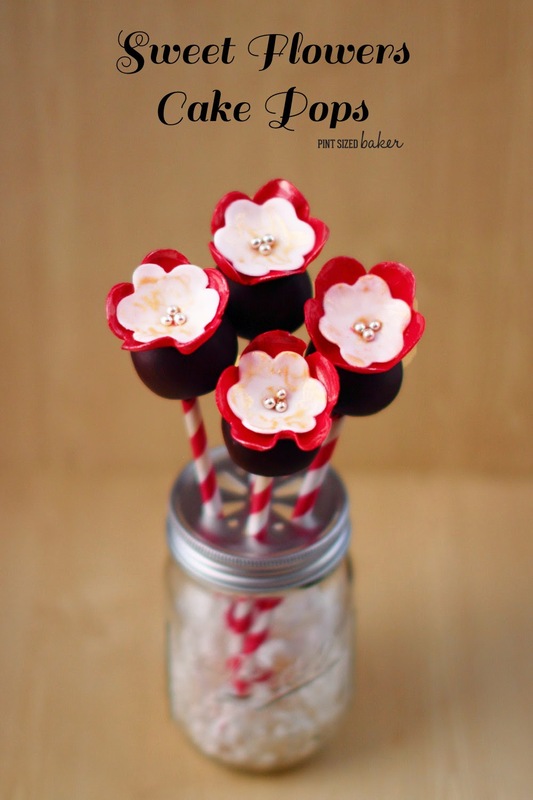 Please pop on over to my other blogs.I love baking up sweet and easy desserts and making cake pops I share a new cake pop tutorial each Thursday on Pint Sized Baker. 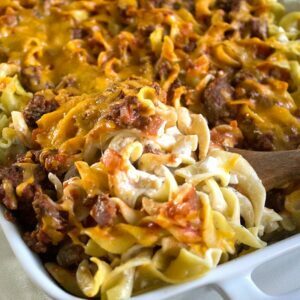 And over on Dieter’s Downfall, I love to make it all and then put to together! 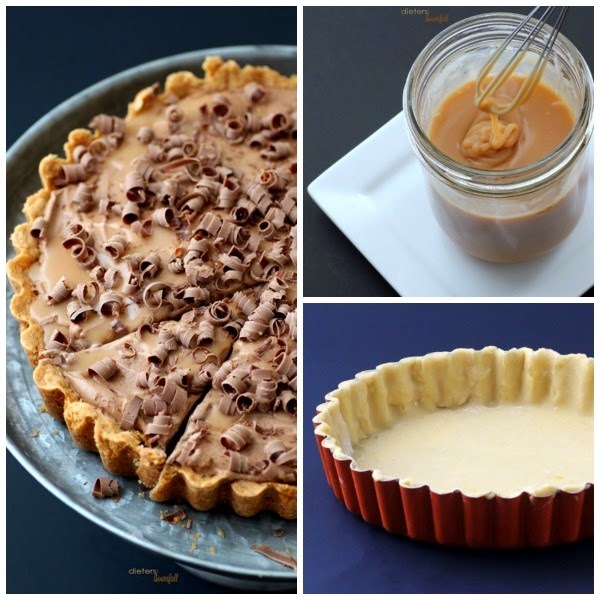 These monster desserts are broken into three easy recipes and then combined to make an amazing dessert that will totally impress your friends.